Standing in line at the Huntsville Free Clinic in Alabama. A provider of last resort, the Free Clinic serves the poor and working class of Huntsville not covered by Alabama’s stingy Medicaid program. Many users of Free Clinic services work, but at jobs that don’t offer health insurance. 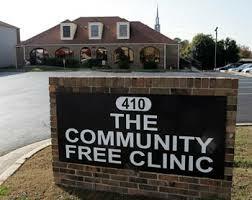 Volunteer-run, the Free Clinic becomes the only lifeline many in this situation will have to any type of health care. I’m eavesdropping on the conversation in front of me, three middle-aged men, two white and one black. They are the face of the new hidden unemployment, the disposable middle-aged men laid off or injured from jobs who can’t collect Social Security yet but who can’t get hired either. Many are unemployable because of the epidemic of diabetes, high blood pressure and other chronic diseases that especially ravages the Deep South. No jobs at the local auto plants or the booming high-tech defense-related industries that still thrive in Huntsville. Men like these survive off wives’ and girlfriends’ income from low-waged service-sector jobs at Walmart, at the fast food restaurants and dollar stores that fill working-class Huntsville strip malls along with pawn shops, Good Wills, and title and payday-loan storefronts. The payday and auto-title loans are two modern forms of debt updating and continuing the South’s sharecropping and debt-peonage legacy. It works like this. You are hard up for cash. You borrow against your next paycheck or put your automobile title up as collateral at interest rates up to 400 percent yearly. If you don’t repay right away (and many people already teetering near the economic edge can’t), you become snared into further cycles of inescapable debt. The practice is perfectly legal and indeed some of the biggest banks in the country, such as Wells Fargo Bank, participate in this predatory lending, although more and more legislation is getting introduced to curb its worst excesses. The void—economic and otherwise—of superfluous men like this is filled by pills: Oxycontins, Lorcets, Darvocets and other prescription painkillers. Getting a steady source of prescription pain medicine becomes not only a personal way to dull the pain but an economic hustle too. Pills can be resold and thus generate pocket money. So not surprisingly talk in the waiting line turns to the latest news about what doctors “kick out” prescriptions with few questions asked. One doctor, banned from Alabama, now practices a few miles up the road in southern Tennessee. Speaking about his exile from Alabama, one man asks incredulously, “What do they expect the man to do? Go work at McDonalds?” The others laugh at the absurdity of the thought, although none of them can get jobs at McDonalds either. Thus, in the face of hardships, God oversees and personally guides the faithful through all life’s ups and downs. In contrast to the role the black church played in the South during the Civil Rights era, today’s churches, both black and white, now reflect the individualization and fragmentation of American life, where there is no one to help you outside your immediate family and friends—assuming they aren’t drowning in their own messy, complicated personal problems. The deep roots of Southern religion remain, but its underlying social causes and thus social functions have changed. Two women, one black and one white, part-time school bus drivers, probably not eligible for healthcare benefits and so forced to use the Free Clinic, talk across the small drab waiting room. The white driver tells of her mother’s slow death from cancer and how her mother was “tired of living, worn out by life” before she died. She then talks loudly about how God oversees her every move, personally managing her life, keeping her on the right path. Murmurs of assent wash across the room. In some ways, this woman’s testimony is both very moving—and very egotistical. This current view of God has nothing to do with social justice or a better world in some vague way, but instead reflects how isolated and struggling so many of the working poor’s lives have become in the United States today. It looks up to the heavens for what can’t be found anywhere on earth. This is a part of the country that the United States left, in the traditional sense, walked away from decades ago, preferring to impose change through the courts and government decree, and to withdraw into the fractured movements of identity. But Alabama, like much of the Deep South, has a rich history of class struggle. In the 1930s, the mines and steel factories surrounding Birmingham, now shut or just a shadow of their former strength, were in a virtual state of civil war, struggles more often than not shipwrecked on the reefs of race. 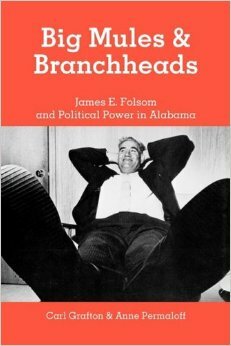 During the Red Scare 1950s, Alabama was run by a populist governor, “Big Jim” Folsom, a colorful, 6’6″, hard-drinking, womanizing, larger-than-life figure who openly preached interracial unity of the “branchheads” (the poor farmers and working class) against the “Big Mules,” the handful of Alabama’s land owners controlling the state (3). Folsom’s campaign rallies opened with him intentionally greeting and shaking the hands of black attendees in a symbolic but potent signal that blacks were welcome. Folsom famously demonstrated his disdain for the trappings of power by having himself photographed smoking a cigar, with shoeless feet propped up on the executive desk of the governor’s mansion. Even an arch-reactionary and racist like George Wallace, who got his political baptism in Folsom’s campaigns before veering to the right, was denounced by the Republican Party when he ran for President in the late 1960s, as a “country and western Marxist” for increasing state spending and ownership and raising public sector worker salaries. 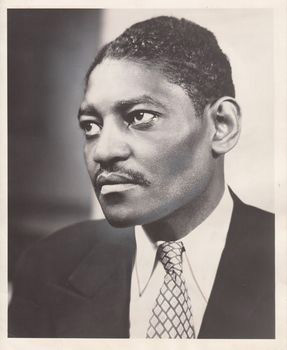 After unleashing the demons of racism all his political life, Wallace, according to historian Dan T. Carter, at the end of his last term as governor, by then incapacitated in a wheelchair from a failed assassination attempt, openly worried, “I hope the rich and powerful don’t take over now.” This strain of populism, sails unfurled and powered with the largesse of New Deal winds, a populism contradictory, frequently nakedly corrupt and never ultimately threatening the interests of the big money men, is dead in the Deep South today. One of the many dirty secrets of American history is that New Deal projects, along with nearly every other of the public works construction widely credited with modernizing Southern infrastructure and launching the New South, were worked by un-free labor. Whenever a local construction crew or farmer needed manpower, the sheriff would arrest blacks and poor whites on minor charges, with willing judges sentencing the convicted to work-gangs building roads and harvesting crops. If slavery was the first wave of one major source of primitive accumulation of capital in the United States, the post-slavery period until WWII became the second, as former slave-owners, deprived of their biggest form of capital—the institution of chattel slavery—scrambled to reconstitute their wealth through a second wave of un-free labor, assisted by the state and the judicial system. The prison farms of Alabama, there are a half-dozen going all the time, that is the business the state of Alabama is in. Many a guy on these prison road camps, he was there because some Alabama county put up a sign during harvest time. The sign said that vagrants without money must work on a prison farm or road for thirty or sixty days. These guys they arrested and stamped a crime on the fact they were broke, and puts them to working. 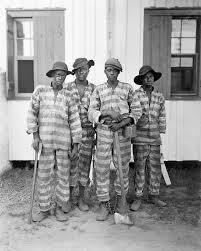 Besides what the state did through its prisons and farms, our rackets inside the prison were small. The prison farms of Alabama, that is the part of the old slavery that still stands down there. Today, like in the olden days, they feed a man enough to keep him alive and work him all day. Long time ago, old master, he got the take from that. Today the state of Alabama, it gets the take direct, through its prisons and the officials who run them. From the late 1940s until the 1970s, the Olin Corporation, contracted by the Army on nearby Redstone Arsenal to manufacture DDT, dumped an estimated 4,000 tons of DDT into the springs feeding into the Tennessee River. The locals in this small, all-black town fished the river to supplement their diets. In the late 1970s, the Tennessee Valley Authority documented hazardous levels of DDT in the river surrounding Triana. The report was ignored. That is, until the then-mayor of Triana, concerned, asked the Centers for Disease Control (CDC) to come and test Triana residents. The CDC found high levels of DDT in Triana residents’ blood. One elderly Triana man had the highest level of DDT ever recorded in the bloodstream of a living person. The subsequent disaster was so severe that Triana was dubbed the most unhealthy town in America and a “Southern Love Canal,” after the well-known 1970s environmental catastrophe in upstate New York. In the court battles that followed, Triana’s mayor, in a decision still cited in environmental law classes, very shrewdly negotiated not only individual cash settlements (my friend in Alabama had several relatives who got them), but also won lifelong healthcare though a specially set up health clinic. It was a brilliant move that ensured people who would never get decent healthcare got it. Triana in this way became the only Southern town with guaranteed healthcare for all citizens, a rarity even outside the South. Triana was technically considered cleaned up after a massive infusion of Environmental Protection Agency money from the federal government—and promptly forgotten about. When I visited Triana, while muffled booming from weapon detonation in the sprawling Redstone Arsenal next door echoed in the air, I saw people fishing from the banks of the Tennessee, even though researchers have detected high levels of new carcinogens again in river waters. Along with this fatalistic belief in secret control being exercised over one’s life, a control so complete that is futile to do anything about it, goes hand in hand, paradoxically, with a blind faith in Barack Obama that’s difficult to challenge. Obama becomes a mythical superhero always ready to deliver like a fantastic savior from above but forever foiled by the evil machinations of the Illuminati. But winds of change are now blowing through the South. Globalization—and make no mistake, the South is thoroughly caught up in the social and economic changes going along with it—has brought new fault lines—and new possibilities. In Alabama, formerly lily-white mountain towns outside Huntsvile such as Arab and Athens now draw growing Latino populations, and tiny Gunterville, population 3,000, hosts an influx of Haitian refugees who have set up shops on the main street. Whole industries such as poultry are now largely Latino worked. It is no accident, faced with this rising, visible tide of immigration—a 280 percent increase from 1990 to 2000—that Alabama passed some of the most repressive anti-immigration laws in the United States. Huntsville itself, for example, once a sleepy textile town where part of the Scottsboro Boys trial took place in the 1930s, is now a major center of aerospace and high-tech research and development. As the South steadily transforms, so hand in hand will its potential importance grow in US social and economic developments. This process of course is wildly uneven, with at least in the short term counter-trends likely flaring as well, but the South’s long legacy in US history as a socially backward, economically underdeveloped “other” semi-colony not quite part of the country, finally seems destined to end. ‹ Previous Post What’s up with Bosnia?